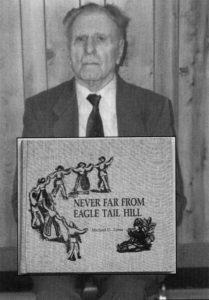 In 1982, Mike Toma commenced writing the history of the Romanians who came to the Boian area and their families. The launching ceremony of this book, “Never Far From Eagle Tail Hill” took place on February 9, 1986. 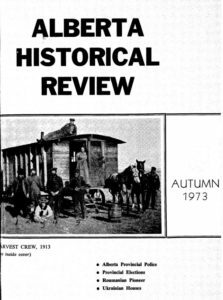 It includes a brief history of the Romanian pioneers who arrived in Alberta at the turn of the twentieth century and settled some one hundred and twenty kilometers (75 miles) north-east of Edmonton. The book contains numerous family histories, detailed accounts of the churches and schools in that area as well as a description of the major customs and traditions transplanted from Bucovina and practiced in the new land. 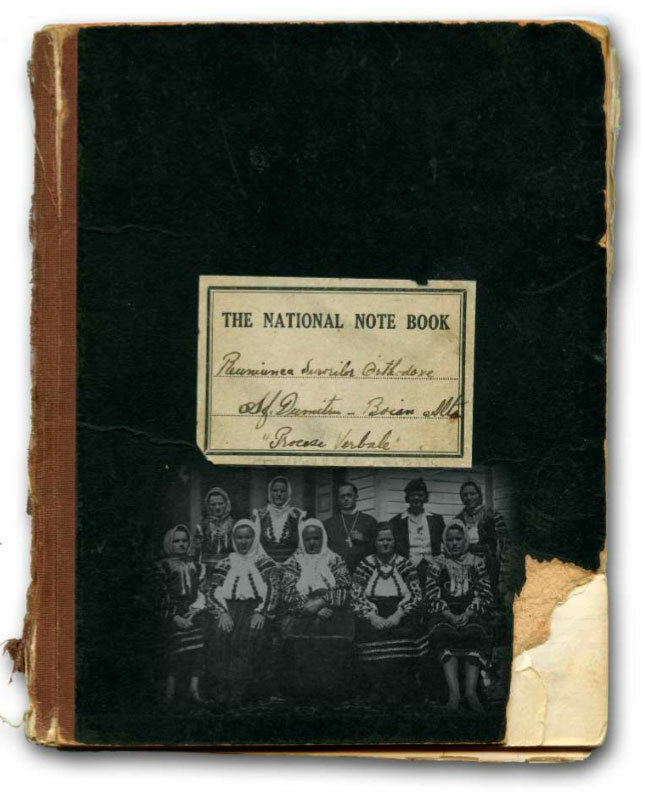 On behalf and in memory of Reverand Father Vasile Cohan Mrs. Ann Moscaliuk is pleased to present this historical book back to the Boian, Alberta Parish years ago it was given to her by of the surviving Cohan family members in memory of their father . 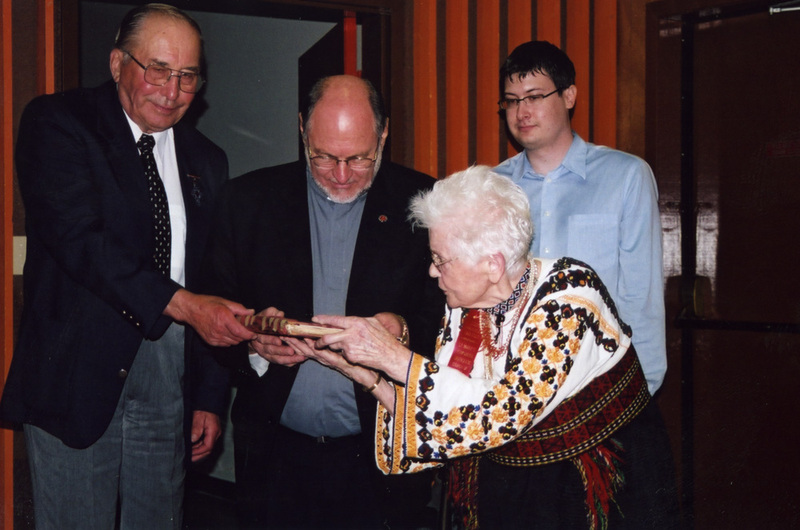 Mrs. Moscaliuk was considered to be a close member of their family in that as a teenager she cleaned house and baby sat the children during the many years that Father Cohan served at the Boian Parish. 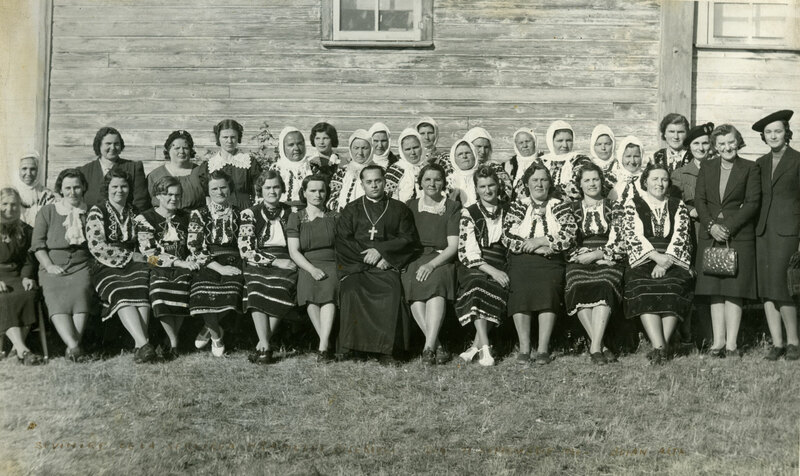 On the 23rd of May, 1936 an extra ordinary meeting of the sisters of the Boian Church was called in the local school to organize a ladies club. 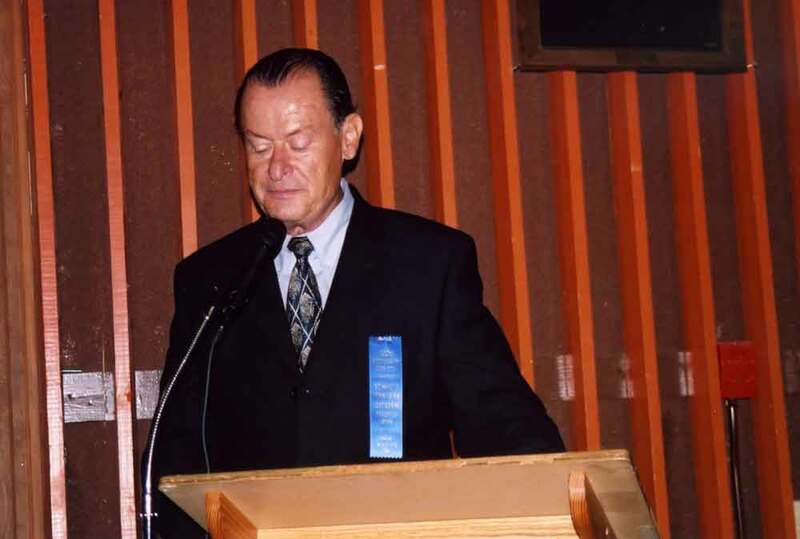 The chairman was Reverend Vasil Cohan. 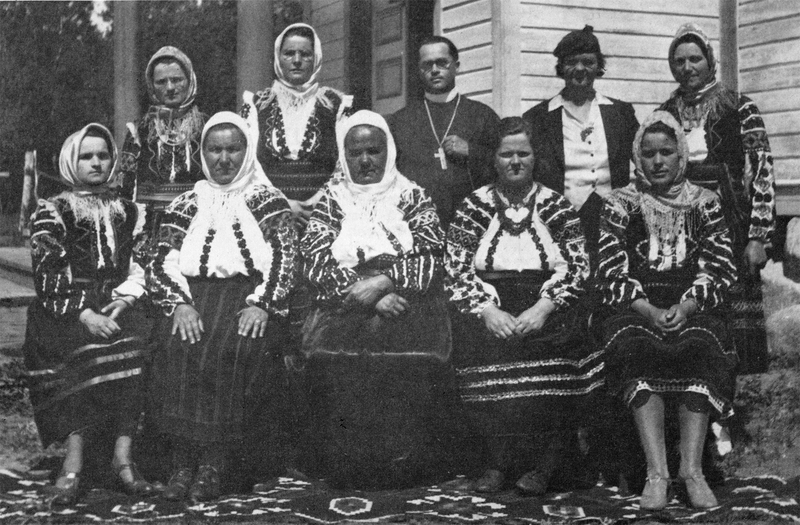 They chose to be called “The Sisters of the Orthodox Church of Boian”. Rev. 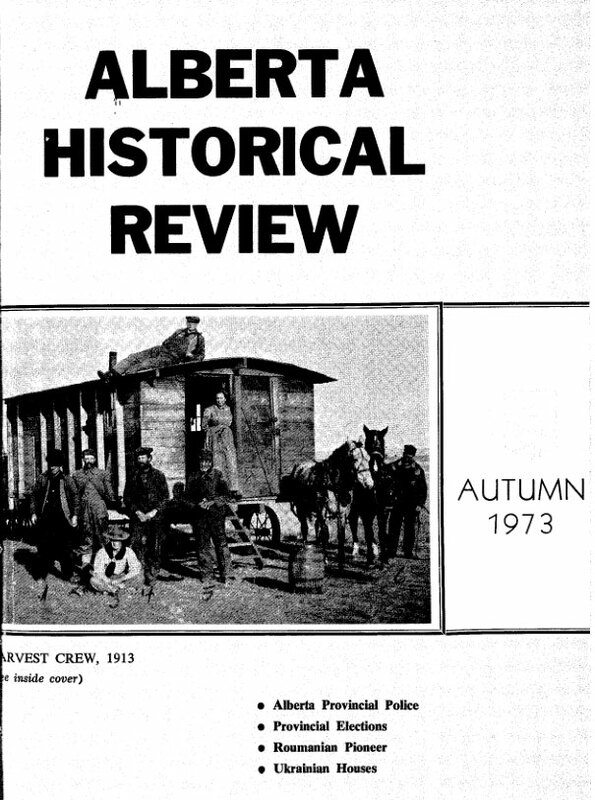 Cohan declared the meeting open with the prayer “Kingdom of Heaver”. Then with a blessing he explained why it is very important for the Sisters of the church to unite and set an example for their children in a religious upbringing. Nominations were open for President. G. Porozni nominated Veronica Toma. Reveca Cheilba seconded the nomination. Veronika Toma was elected by acclamation. Vice-President Reveca Toma, Treasurer Ana Porozni, Secretary Elena Svecla, Controllers Elizabeta Cohan, Reveca Chelba and Maria Toma. Membership was set at 50 cents per member. The president declared the meeting closed, seconded by Reveca Schirca. Then the church choir sang Steagul Nostru and Asater Domnului. An excerpt from the minutes of a meeting of the Boian Church Ladies Auxiliary held May 23, 1936. A discussion was held on the importance of the Ladies Auxiliary’s support of the Church Board and their importance in the spiritual upbringing of the future generation. An election of the executive was also held. It is interesting to note that the Romanian Language was used for many decades to conduct meetings.